We’ve seen a flurry of Qi chargers aimed at the Mac market since Apple launched iPhone 8/Plus and iPhone X. 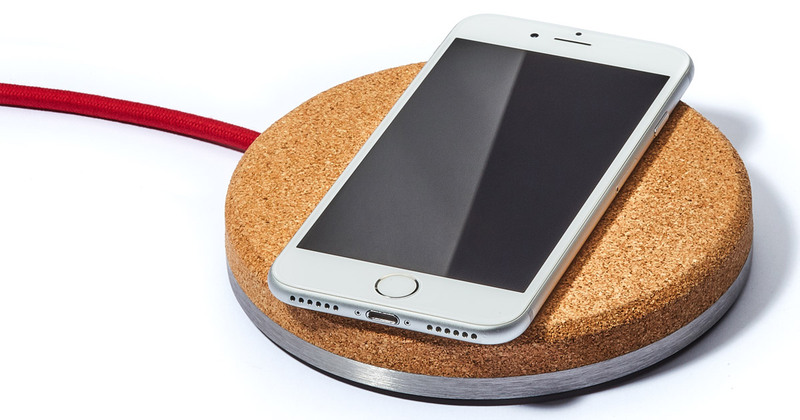 There are a ton of options if you just want a functional Qi charger, but I had one from Grovemade cross my desk last night that looks good, too. It has a 1/4″ brushed metal base to give it some heft, but what stood out for me was the natural cork bed. I think it looks way better than the plastic Qi chargers I’ve seen, plus it should grip my iPhone better. The company said it works with all of its own cases, and should work with other cases up to 3mm thick. Not surprisingly, it’s pricier than a small plastic puck, at US$79. I’m linking to the natural cork color model, but it’s also available with charcoal gray cork.